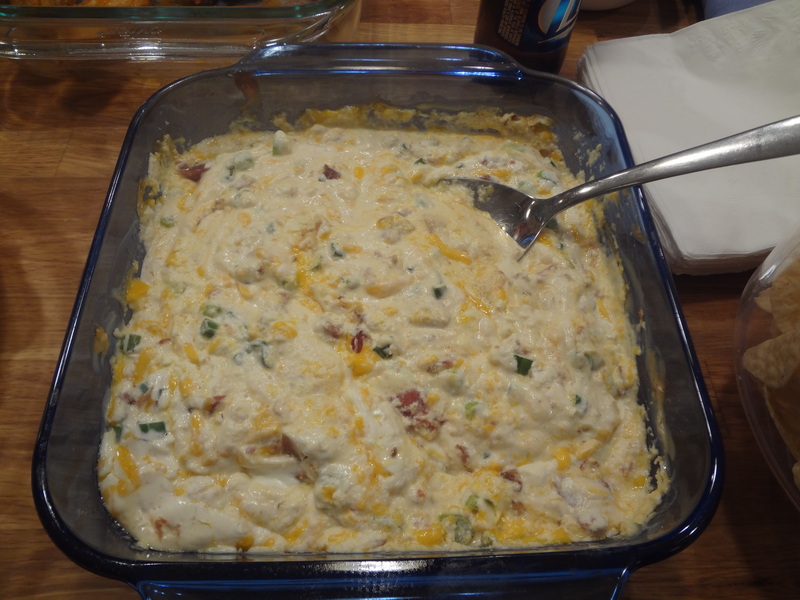 Here is a yummy dip recipe that I’ve made for parties! Very simple and very delicious! Who doesn’t love a combo of cheese, onions and BACON? Mmmmmmmmmmmmm……….. All cooked together into melty goodness? It’s sure to be a crowd pleaser!